DAVID LE/Staff photo. 5/20/15. 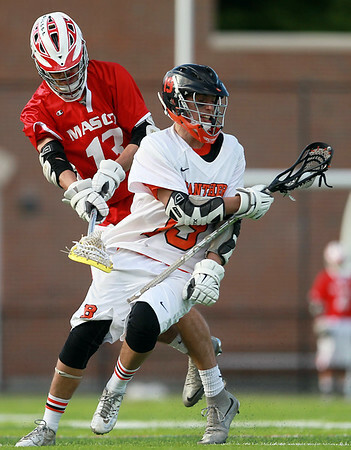 Beverly senior attack Clinton Cabral (19) escapes a stick check from leaping Masco senior Kevin Gilbert (13).